Jeffery Scott Tittle, age 49, of Bladenboro passed away on Thursday, October 18, 2018. He was preceded in death by his parents: Freddie Edward Tittle Sr. and Mary Gauger Tittle. 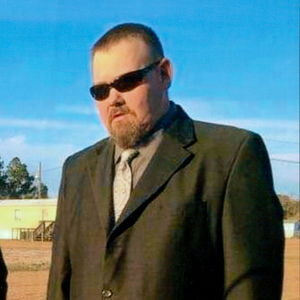 Jeffery leaves behind his life partner: Tanya Merritt of the home; one son: Matt Tittle of Bladenboro; seven daughters: Heather Briggs of Stony Creek, VA; Katie Main and husband Austin of Fort Campbell in Kentucky, Kayla Merritt of Lumberton, Ashley Resendiz and husband Austin of Dublin, Natalie Tittle, Karah Tittle and Abby Tittle, all of Bladenboro; one brother: Freddie Tittle Jr. of Bladenboro; one sister: Laura Brisson and husband Joseph of Garland; two grandchildren: Astrid and Andrew Resendiz; several nieces and nephews and two fur babies: Raven and George. A memorial service will be held on Tuesday, October 23, 2018 at 2:00 pm at Bladen Gaskins Funeral Home in Elizabethtown with Rev. O'Neil Parker officiating. Add your thoughts, prayers or a condolence to Jeffrey's guestbook.